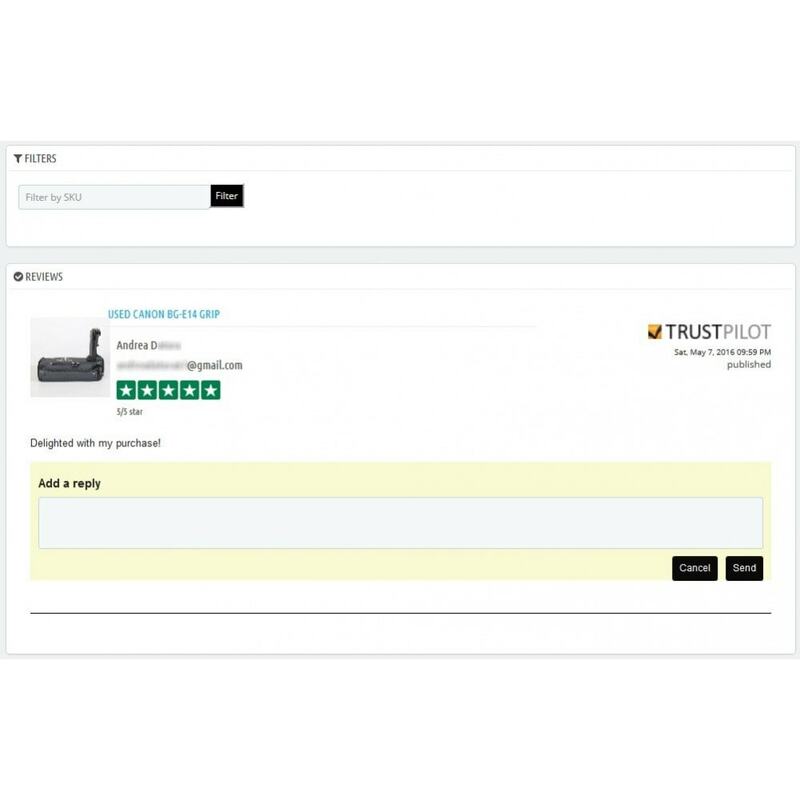 Connect your Trustpilot account with your PrestaShop store, providing management of reviews within the back office and display of reviews on the front office. This module is not compatible with the free version of TrustPilot. Show your company rating on your PrestaShop store as well as displaying product specific reviews on the relevant product page. 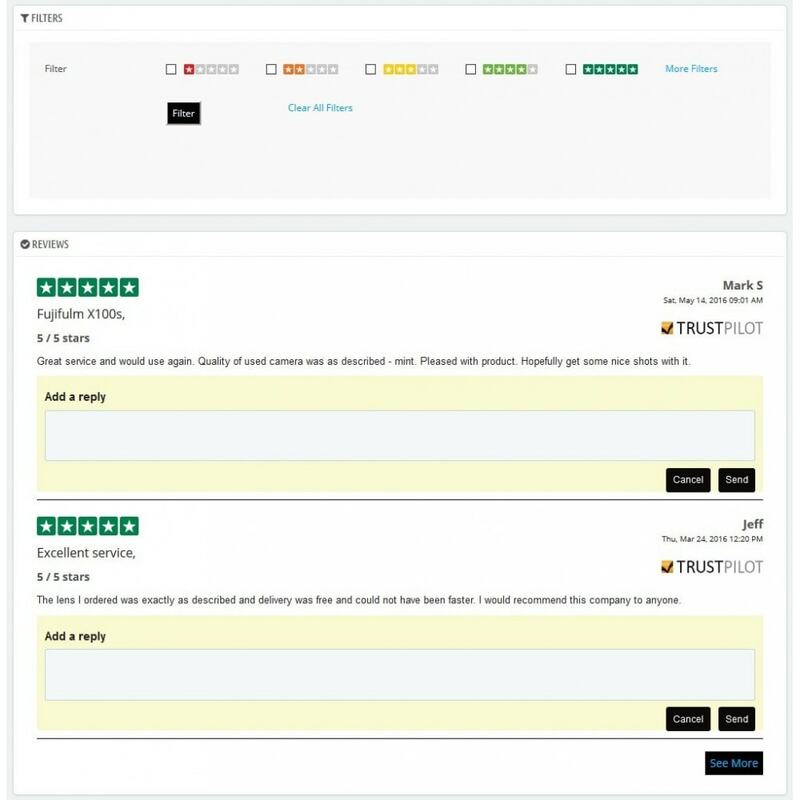 Also, simplify management of your Trustpilot reviews, allowing you to respond to your customers more efficiently from your PrestaShop admin system. Sign up for a Trustpilot account. Optimisez la vitesse de votre boutique et administrez plus simplement votre pieds de page grâce au module "Footer Blocks " ! Créez simplement le contenu de votre pieds de page à l’aide d’un seul et unique module ! Increase customer confidence and improve conversion rates by helping your customers make informed decisions. 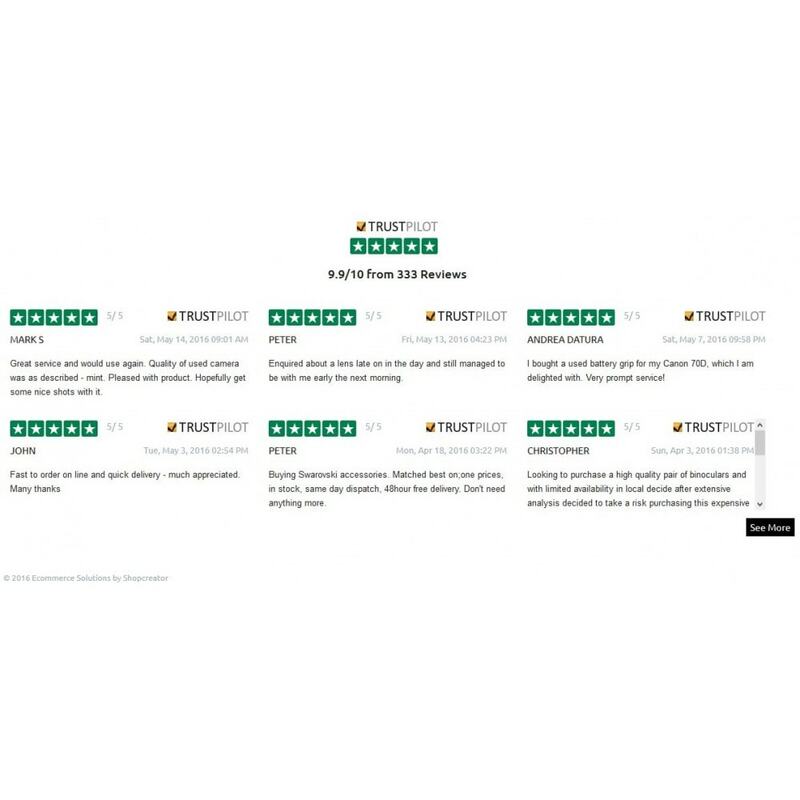 Show the world just how good your service and products are by showing your Trustpilot reviews and ratings. 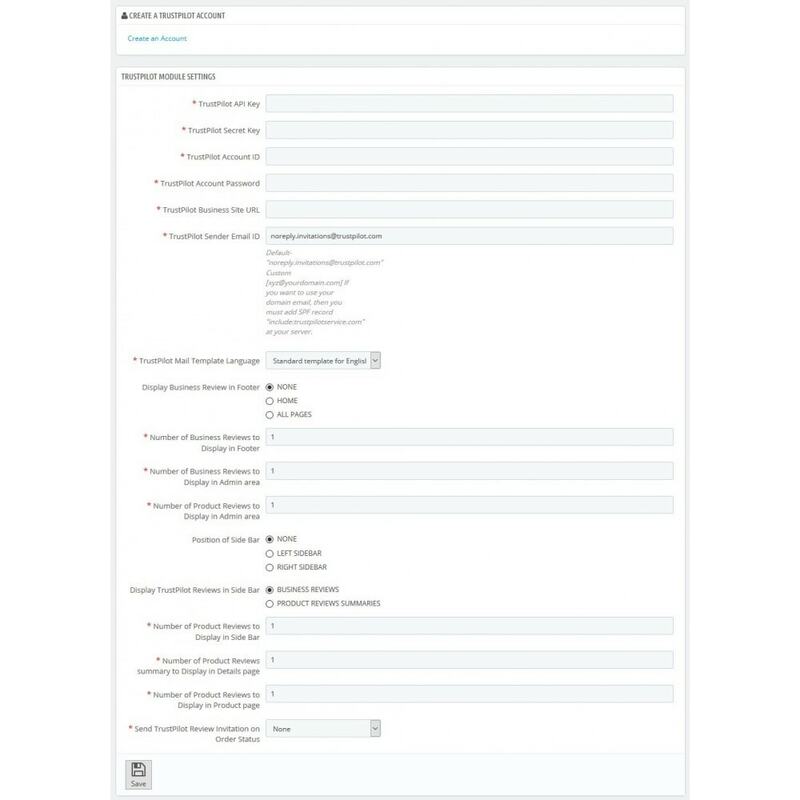 You will need a Trustpilot account to use this module, which you can sign up for from within the module configuration screen. Standard Install. Just upload the module, install and use.